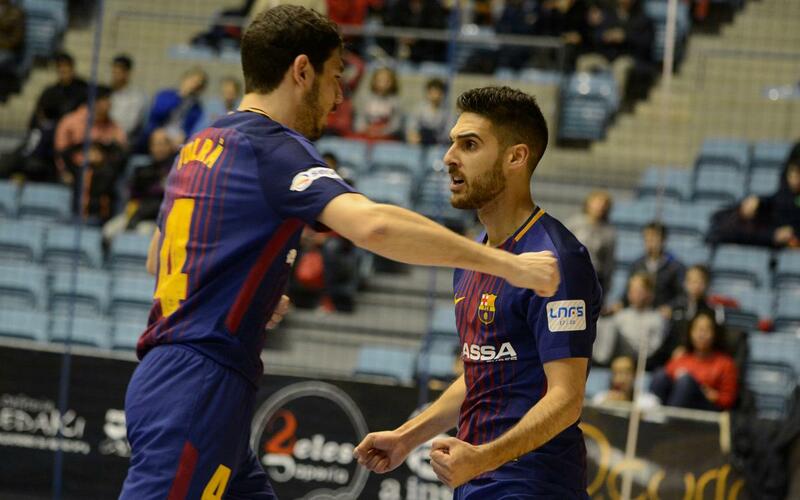 Barça Lassa won 8-3 at relegation threatened Santiago Futsal on Friday evening with braces from Adolfo and Ferrao and single goals from Joselito, Esquerdinha, Sergio Lozano and Rivillos. The Catalans saw their 3-1 lead cancelled out in the first half, but it was full steam ahead after the break as the goals started flying in, and this time not even rush goalie tactics were going to spark a comeback from the home side. Barça close the gap to a point on LNFS leaders Movistar Inter, who have yet to play this weekend, but the playoff berth is already more than secure.